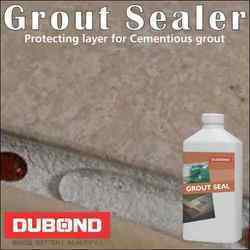 Grout sealers help prevent staining and protect against water damage. These products are advised for natural stone, ceramic and porcelain tile grout that are in bathrooms and kitchens. Protecting Layer for Cementitious Grout: Grout Seal For Cementitious Grout is a water-based sealer that resists water and acid-based contaminants,giving a durable, stain resistant, natural-look, recommended for use on cementitious grout joints for ceramic tile installations on floors, walls and swimming pools. Equally effective for interior and exterior applications. Grout joints must be clean dry and free of existing sealers and coating to ensure good bonding. Apply 2 coats with a soft- bristle paint brush. Allow a minimum of 30 minutes drying times between coats. Sealed area should be kept dry for 12 hours. Achieves a full cure in 24 hours. Use cotton or paper towels, polish dry any sealer remaining on the tile and grout within 3 to 5 minutes of application. Do not allow sealer to come in contact with any non- recommended surface. Packaging Size 500ml, 5 Ltrs. 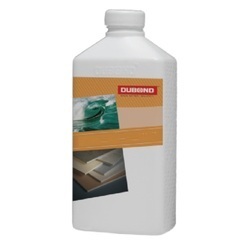 Dubond's Nano Seal For Lime Stone Marble Granite is a premium, hybrid system with fluorochemical technology, water based transparent sealer, which bonds with tile/stone for improved wear resistance. It provides as natural look with maximum protection against the toughest oil and water based stains. The water based formula makes it easy to use with a durable long lasting seal, which provides to breathable surface in exteriors and interiors, commercial or residential application. It also allows moisture vapour transmission and inhibits growth of mould. Apply using a brush, roller, cloth, sponge or sprayer. Buffs dry any excess sealer that does not penetrate within 3 to 5 minutes with an absorbent trowel or carpet bonnet. Highly porous surfaces amy require a second or third application to give full protection. Wait minimum for 1 hour between applications. May be opened for foot traffic in 2 hours. Achieves a full cure in 24 hours. Packaging Details: Packaging Size- 500ml, 1 Litre & 5 Litres. We are one of the best selling brands in manufacturing and supplying a variety of Floor Sealers. It is a water based liquid and widely used to prevent stains and also provide the repellent effect. 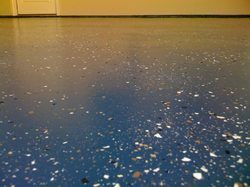 Floor Sealers is very easy to apply and cost effective too. 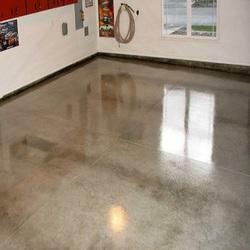 This can be used in all atmospheric conditions and provides an excellent mirror finish of the stone. Composition Organic resins dispersed in water. 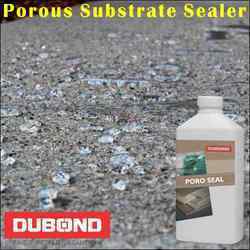 Dubond's Poro Seal For Porous Substrate is a solvent base ready to use oil and water repellent impregnator for medium and high absorbing stones.A clear, penetrating water & oil repellent designed for the ultimate protection for porous natural stone and masonry surfaces. It contains a special formula of polymeric siloxane in a mixture which produces an exceptional resistance to oil and water. It provides long term resistance to high heat an makes cleaning treated surfaces easier. Poro seal penetrates into the pores of the stone forming an invisible barrier. It protects the material against the penetration of dirt, water, oil, grease, coffee, tea, beverages. Generally ATS 60 does not affect the natural colour of the treated support. Only on some stones there could be a little change. It is 98% vapour permeable, UV light resistant and it will not turn yellow with time. Spread a thin even layer of PORO SEAL by means of a soft brush or lambs wool or low pressure sprayer. On the most absorbent stones two applications may be required . Wait 2-3 hours between each coat. Surface to be treated has to be completely dry and clean. Stain proof impregnating for marble and granite: Stone Seal For Marble And Granite is a stain proof product for compact natural stones, marbles, granites, Agglomerates honed or polished both for interior and for exterior. 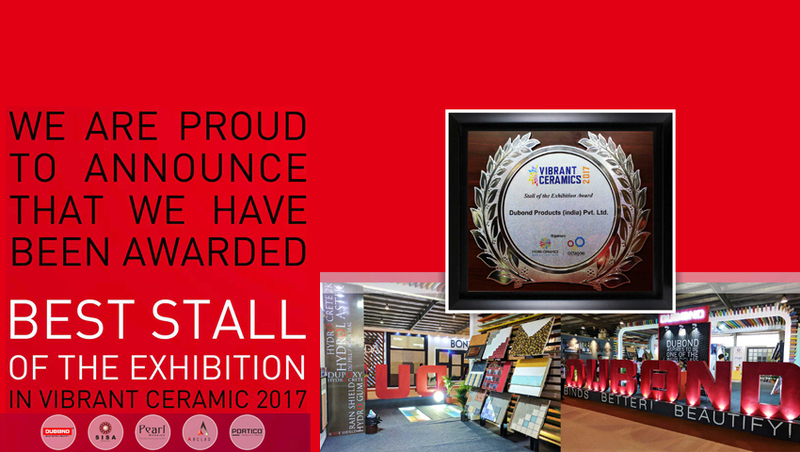 The product does not leave any film on the surface and keeps the natural permeability and colour of the stone unchanged. It protects floorings, coverings, kitchen tops, vanity tops, tables etc. from dirt, stains of oil, coffee, beverages, markers, paint, etc. Stone Seal is a penetrating product; therefore it does not increase the resistance of marbles or stones containing carbonate against the acid aggression of wine, vinegar, lemon juice, tomato juice, cleaners, etc. 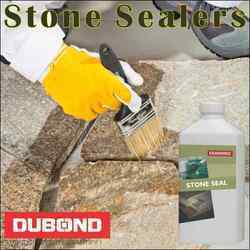 Dubon's Floor Seal is a water and oil-repellent product excellent as a dirt proof and stain proof for honed or polished porcelain stoneware. Effective against oil, grease, beverages, felt-pens stains. It offers a protection without changing the look nor the original colour of the floor. It does not form a film. The high penetration power of Floor Seal allows a protective action which proves extremely effective and lasting for a long time. Apply on the surface a thin even layer of product with a soft bristle brush or with a lambs wool and let it dry 6-8 hours. Take the residue away by means of a fine pad polishing machine. Packaging Details: It comes in packing size of 500ml, 1litre, 5 litre and 20 litres.